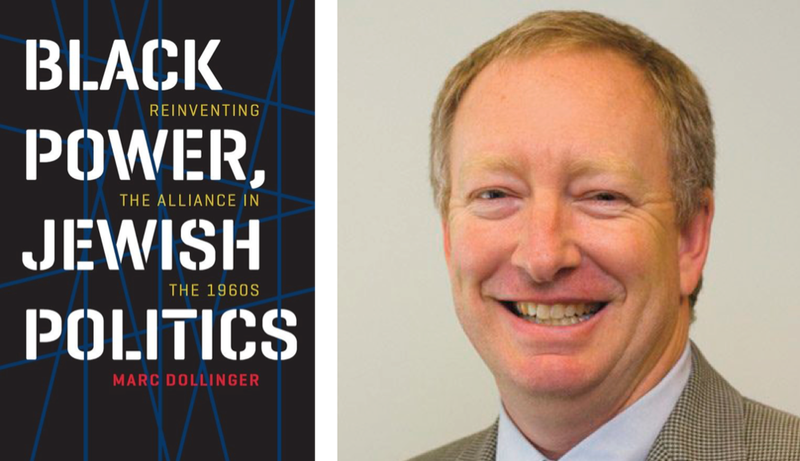 Framed through the lens of the Black Power movement, Dr. Dollinger’s new book, Black Power, Jewish Politics: Reinventing the Alliance in the 1960s, re-examines the “glory years” of Black-Jewish cooperation in the 1950s, the alliance’s split in the mid-1960s, and the Jewish ethnic revival of the late 1960s and early 1970s, as Black nationalists inspired Jewish activists to devise a new Jewish-centered political agenda. This new activism included the emancipation of Soviet Jews, the rise of Jewish day schools, the revitalization of worship services with gender-inclusive liturgy, and the birth of a new form of American Zionism. In this multimedia presentation with text study, Dr. Dollinger will offer a very different understanding of Jews and the civil rights movement than what is commonly remembered. Dr. Marc Dollinger holds the Richard and Rhoda Goldman Endowed Chair in Jewish Studies and Social Responsibility at San Francisco State University. He is the author of four academic books in American Jewish history and, just for fun, helped actress Helen Hunt learn about her Jewish roots on the NBC program Who Do You Think You Are? Co-sponsored by the American Jewish Committee and the Jewish Community High School of the Bay. Co-presented by the Jewish Community Relations Council.